If you’re like me, you’re having a hard time grasping the fact that September is already upon us. West Coast summers have a knack for passing us by in the blink of an eye, but to be honest, I’m really ready for fall. It’s most definitely my favourite season of the year, so I’m ready to embrace cozy sweaters, knit scarves and toasty boots. After an exhausting week at work, a long weekend is just what I need. My plans include brunch and a matinee with a good friend and (fingers-crossed) ample time in the sunshine at an off-leash park with Jordy. I may even throw a photo-walk into the mix if my laziness will permit. Whatever you end up doing this weekend, stay safe and have fun! 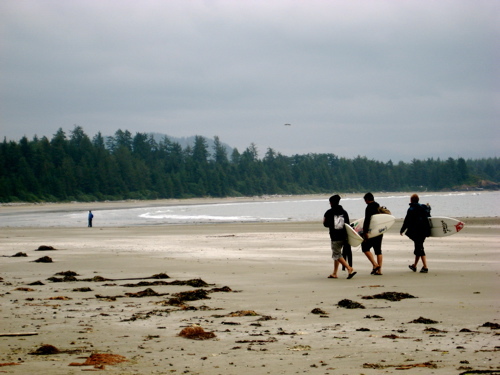 If you’re looking for something exciting to explore, re-visit my round-up of end-of-summer events on Vancouver Island. I’ll be back first thing on Tuesday morning with a special edition of Island Profile. Talk to me: What are your plans for the Labour Day long weekend? I’m fundraising for the BC-SPCA’s Paws For A Cause, aiming to raise $1,000 by September 12, 2010 for the Comox Valley branch. As of today, I’ve reached a fraction of my goal and have little more than a week to go! Please consider donating to my effort and support this worthwhile cause. Nothing special – putter around the house. Keep Charley company. Take whatever comes! Head to the sunshine coast tomorrow for Robyn’s cousin’s wedding. First time to the Sunshine Coast for me, so it better live up to its name!